The Best Jewelry Online Now! Sotheby’s is making its jewelry online auction debut today with a bang. 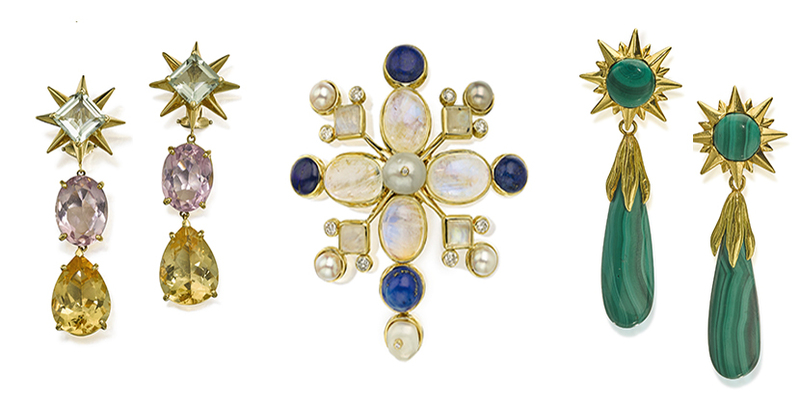 The first online only timed sale from the esteemed auction house is a beautifully curated collection of 32 Tony Duquette jewels. 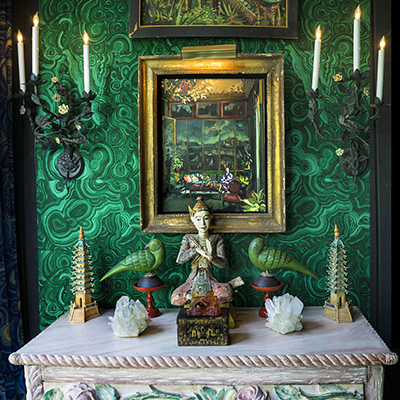 Most of the rings, necklaces, brooches and bracelets are ginormous in scale, perfect examples of the wildly imaginative Tony Duquette Studio. “I felt like Duquette was a great thing for us to do in our first online sale because it’s so easy to understand and love when you see it online,” said Sotheby’s senior vice-president Frank Everett. What may not be totally obvious is when the jewels were made. The look of the collection, launched in the 1940s when the Duchess of Windsor commissioned a necklace, has remained the same over time. 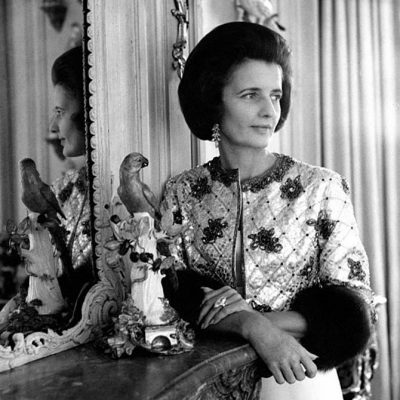 Hutton Wilkinson, who worked side-by-side with Duquette for decades until the designer passed away in 1999, has continuously been the creative director of the jewelry. The gems are the soul of Tony Duquette’s jewelry which has been described as Hollywood Regency but really it’s just Tony Duquette’s style. 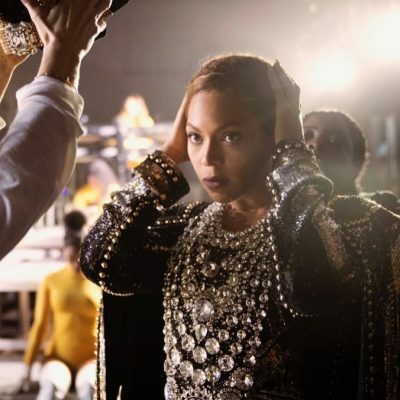 It’s an extension of his costume and set designs for movies and theater as well as his furniture and interiors. 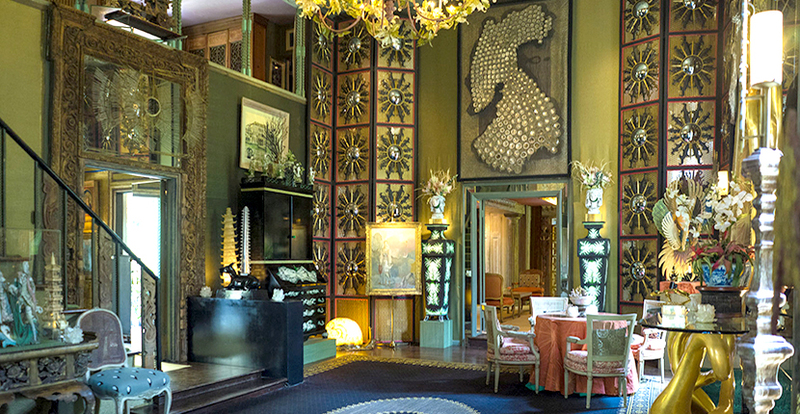 The mode is shown off best at Dawnridge, Duquette’s iconic home in Beverly Hills that in this writer’s opinion is a national treasure. There are several magical pieces in the Sotheby’s online auction. 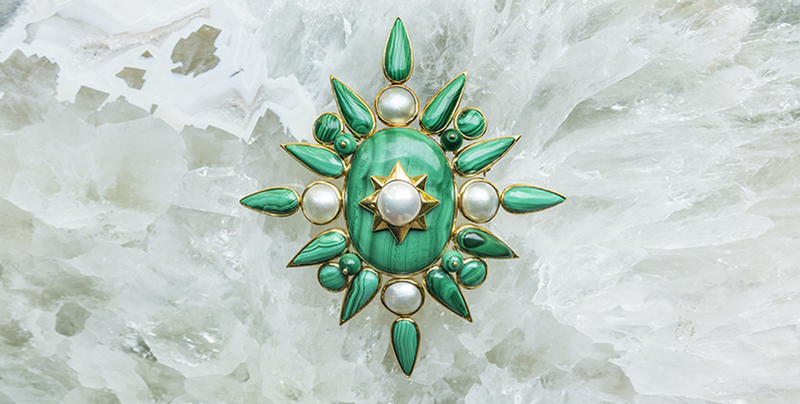 Malachite, one of Duquette’s favorite materials, appears in the Starburst brooch in the first photo of the slideshow above. The jewel is as big as a hand and a perfect reflection of Duquette’s oeuvre. Abalone shell is another favorite Duquette material. 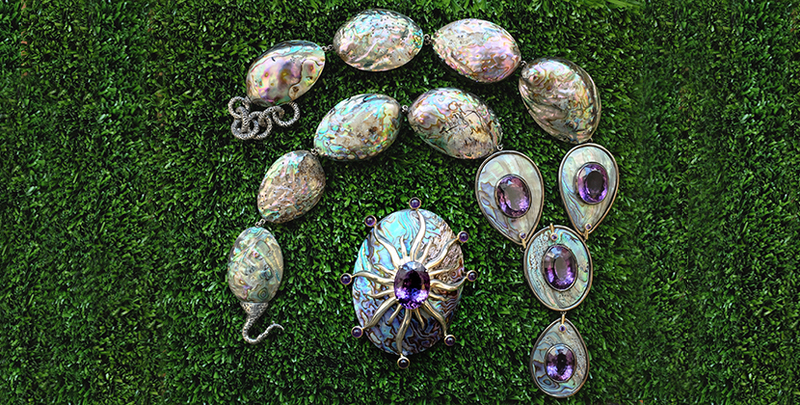 A needlepoint pillow at Dawnridge reads, “If there were only one abalone shell in the entire world, kingdoms would be won and lost fighting wars to possess it.” Luckily there are two great abalone shell jewels in the Sotheby’s sale, a silver, 18K gold, abalone and amethyst necklace and huge brooch. Both pieces are illustrated in the slide show at top. Several rings in the sale are tremendous in scale. They are too large to call cocktail rings. They are more like the size of punch bowls. 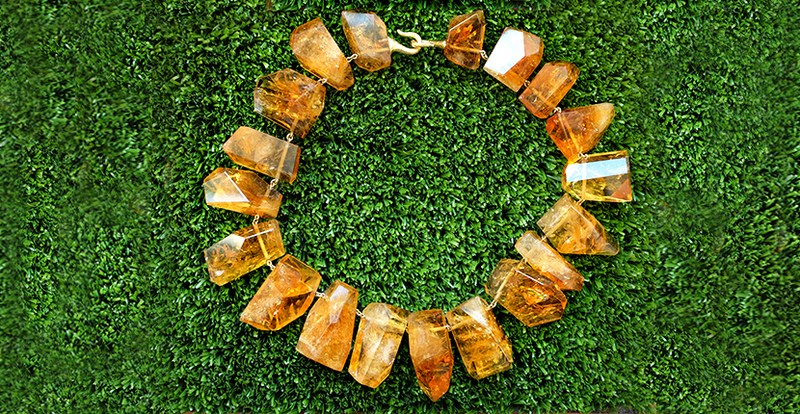 There are also some delightful necklaces with crystals and citrines that are unlike stones seen anywhere in the market today. A couple of the jewels are classics that can be found in the Tony Duquette Jewelry book by Hutton Wilkinson. For more on the Tony Duquette sale watch the Sotheby’s video of Frank Everett below. Bidding begins on August 18 and ends on August 30, 2016. 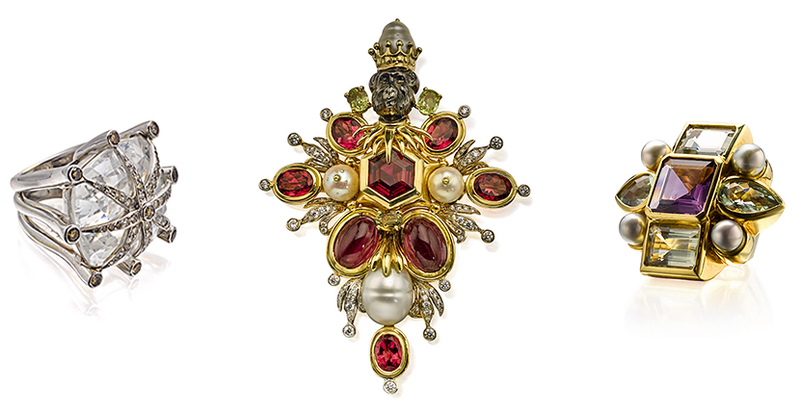 A viewing of the jewels will be held at Sotheby’s in New York on August 25-26 & 29-30.